Put water and 1/2 sugar in a pan, bring to the boil, stirring, until sugar dissolves, then stop stirring and simmer 5 minutes. 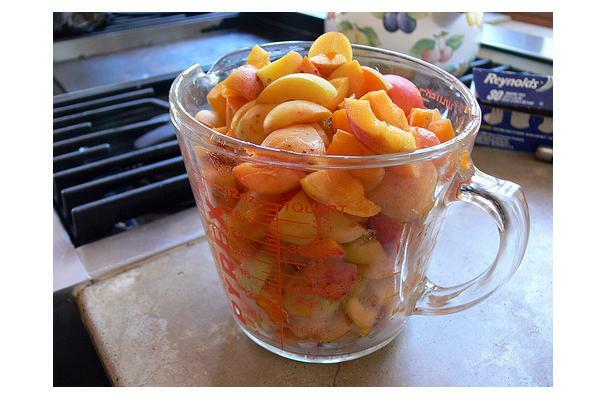 Add fruit and pectin, bring back to the boil, simmer 30 minutes, stirring regularly. Add remaining sugar and simmer a further 10 minutes. *To test:Remove a tsp of liquid from the jam and place on a plate, allow to cool. If a skin forms and jam holds its shape it is ready. Ensure storage jars are well sterilised.